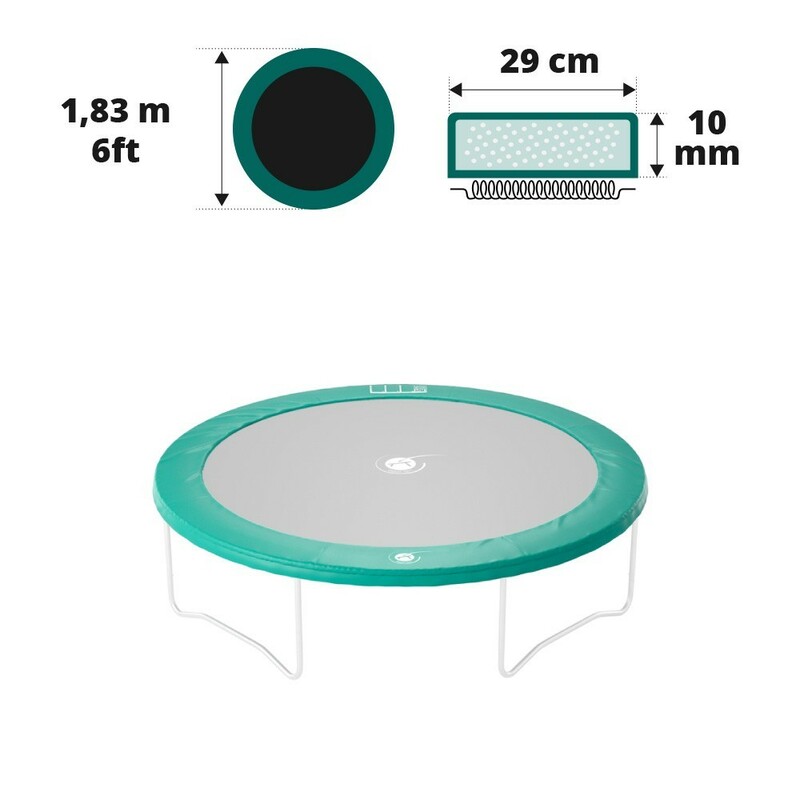 Green frame pad for 1.80 m trampoline. The frame pad on your trampoline is one of the safety components that you should never ignore. As soon as it is damaged, you should rapidly change it to ensure the comfort and safety of users. 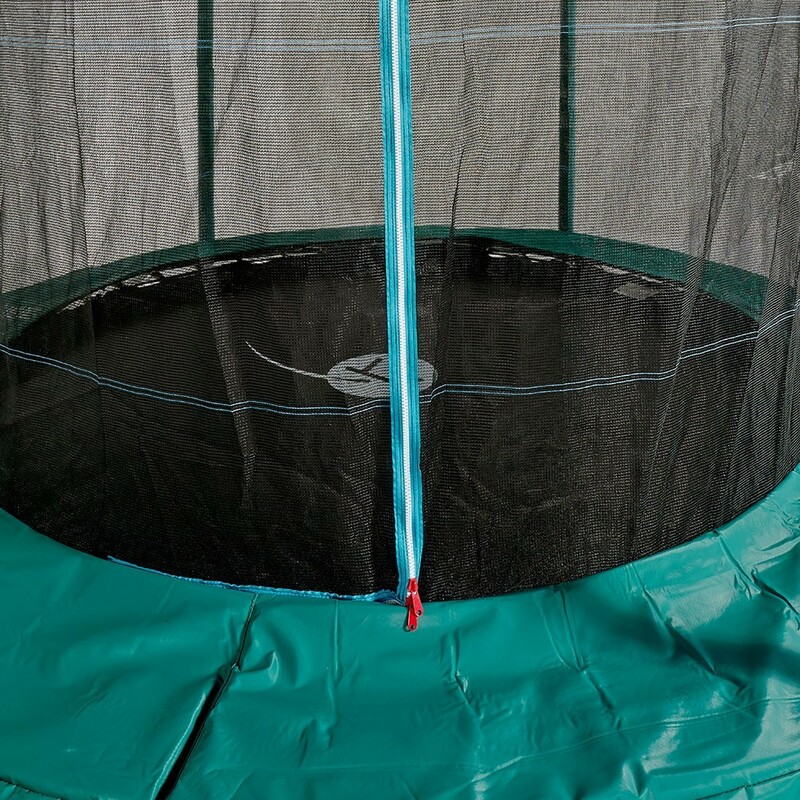 This frame pad is adapted to small round trampolines of 1.83 m in diameter with springs of 180 mm in length. 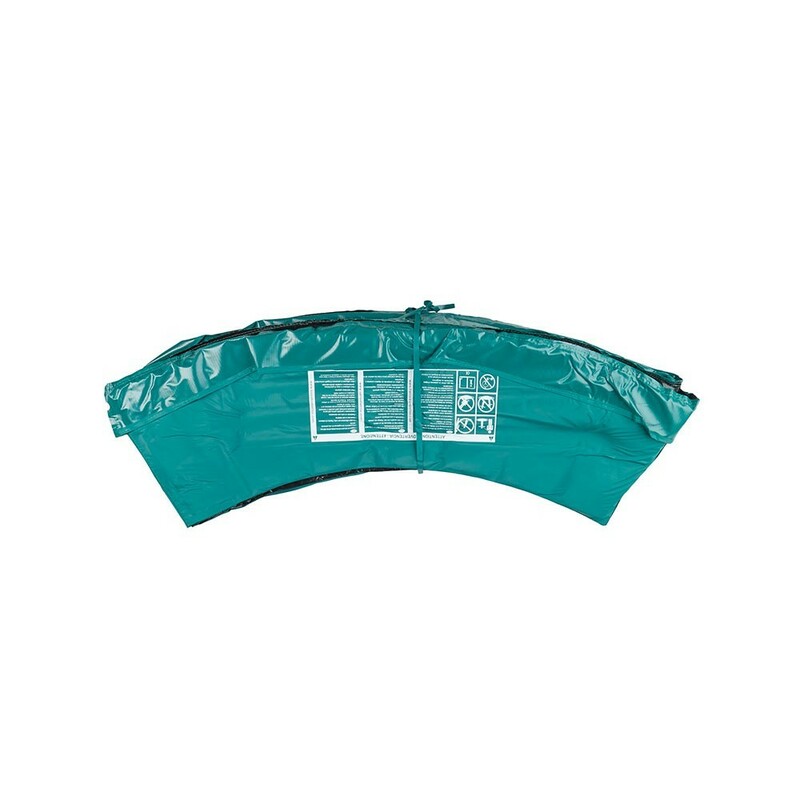 - This green frame pad can be used with the Oxygen 180 trampoline or any other trampoline from another brand that is similar. You should be careful that your trampoline has the same characteristics of size and spring length. Make sure you measure your trampoline carefully before ordering. 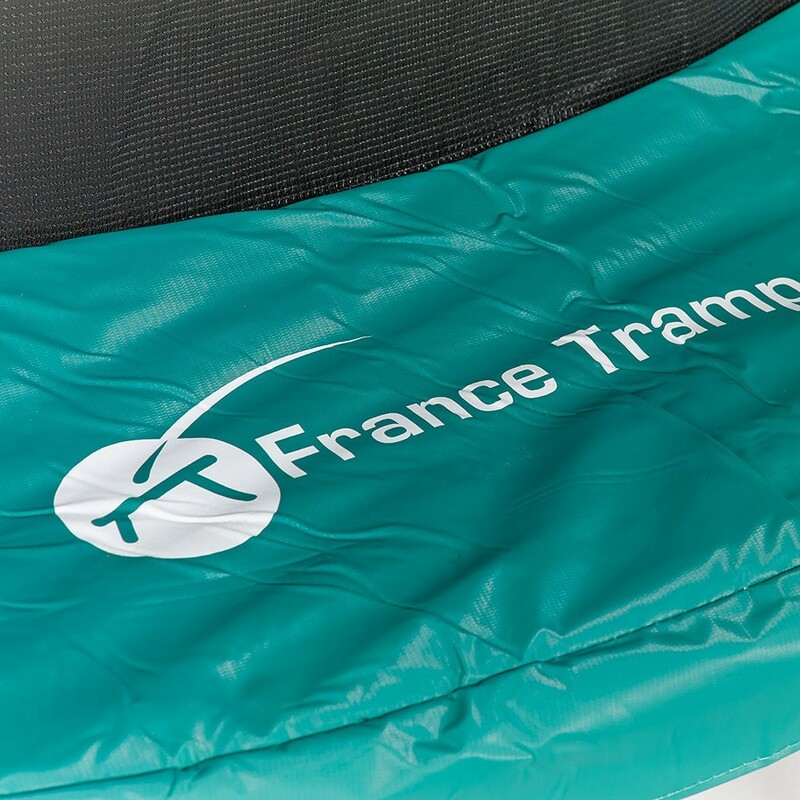 - France Trampoline’s frame pads are made from expanded polyethylene or a monobloc EPE foam which is 10 mm thick. This makes it frost-resistant and shock-resistant. - Our frame pads are made from one layer of foam, making them very resistant. This monobloc ensures that your frame pad is very durable. - Each frame pad is covered in a PVC cover. It measures 0.55 mm in thickness rather than 0.35 mm found on the market, improving its shock-resistance. It has then been UV protected which improves durability. - The frame pad is fixed using elastic straps and eyelets. This spare part has 6 elastic straps which attach to the framework. These straps are included with the product.